The Exhibition space at touRRoir18 will be presented in the Forum venue, the Bailey Allen Hall, National University of Ireland, Galway, on Tuesday April 24th 2018. Power supply (additional power supply and usage is charged separately). 6ft Dressed Trestle Table and Chair. One exhibitor pass is included. Additional exhibitor passes can be booked at a discounted rate. This includes access to the Exhibition Area, Name Badge, Conference Programme, Networking Reception and Showcase Dinner. The exhibiting company will be listed in the exhibition section in the touRRoir18 final programme. Copyright © Good Food Ireland. 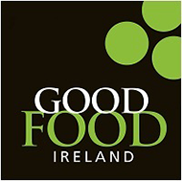 This site is operated by Good Food Marketing Ireland Limited.